The Kabyle people is one of the several Berber (Amazigh) groups indigenous to North Africa, mainly present in Libya, Algeria and Morocco (smaller groups live in Niger, Mali, Mauritania, Tunisia, Burkina Faso and Egypt). Kabylia, located in the north of Algeria, is home to about seven to ten million people. Kabyle people have a territory and their own language. Their identity and strong personality have been shaped and claimed for centuries through a language, a common history, a culture and a civilisation rooted in the large Amazigh family, giving them a collective consciousness, a unique socio-political organisation and an age-old and strong attachment to the values of democracy, freedom, secularism, solidarity and respect for others (Preamble of the Project for the Kabyle State). 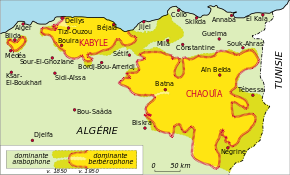 The MAK-Anavad, the main political body representing Kabyle interests, and Kabyle people themselves reject the position taken by the government of Algeria to continue exercising authority over Kabylia, as this amounts to the unilateral annexation of the territory of Kabylia to the Peoples’ Democratic Republic of Algeria. The aim of the MAK-Anavad is to regain the independence it lost in 1857 when it was annexed to Algeria. For the past decade, the MAK-Anavad has tried to organise a peaceful resistance and has led the Kabyle people towards a growing factual independence. Today, it wishes to be part of UNPO in order to meet the need for a strong and credible international platform to make its quest for self-determination be heard. The Kabyle people, since the beginning of the two-year war for its independence in 1963, is suffering from a constant political repression comprising censorship, persecution, discrimination, killings, violent repression and attempts to reduce or even suppress its cultural distinctiveness, whether it be its language or identity. Furthermore, the Algerian government denies them any kind of political existence and, despite its numerous peaceful acts of resistance and protests, does not enable the MAK-Anavad to set up official elections. However, the MAK-Anavad held two Kabyle National Conventions in 2011 and 2014 to which all the political ideologies were represented. 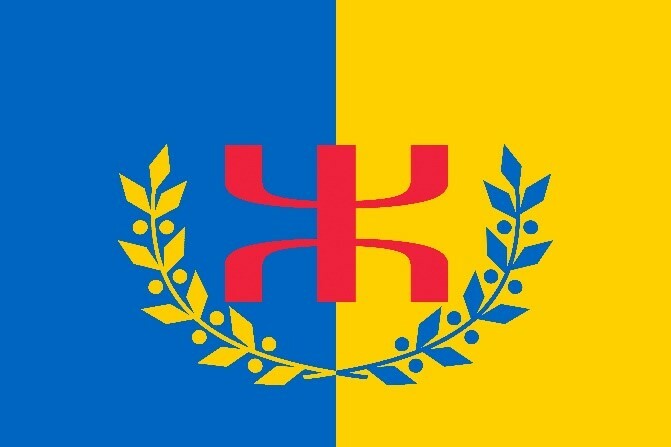 It was a prelude to the establishment of a Kabyle Parliament (“Consultative Council”), which will be set up before the end of 2018. The new parliament will draft a provisional constitution for the future Kabyle State. Today, Algeria and Kabylia do not recognise each other: Kabylia considers itself to be colonised and part of the population wishes to exercise its right to self-determination. In order to deal with the diplomatic successes of the Kabyle Provisional Government, Algiers seems to be using manipulation to destroy Anavad’s audience and undermine the image of Kabylia (source: X., Algerian threats on the marches of 20 April in Kabylia: The Kabyle Provisional Government appeals to international bodies (Kabylia Blog, 11 April 2016) (accessed 3 March 2017). Kabylia, for its part, is fighting against the attempt from the Algerian government to “arabise” its children through education, media and the administration. Moreover, its economy is overwhelmed with tax policies, the blockage of economic projects and the refusal of investment authorisations. Its natural resources, including oil, lead, zinc and water are also despoiled by the government. Last but not least, there is a growing insecurity in the region. Over the past 10 years, more than 100 CEOs, merchants or members of their families have been kidnapped in the region. It made more than half of the Kabyle business owners move their businesses away from Kabylia, further exacerbating the disinvestment and unemployment in the region as well as the departure of young people toward European countries and Canada. Please download our Kabylia Member Profile Brochure or Kabylia Briefing Note to learn more.